You know that old saying 'better safe than sorry'? Well, we're putting it to good use with a list of safety items you should keep in your RV. You don't want to end up like those bumbling people in the RV movies filled with mishaps. 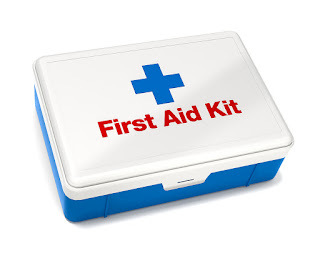 What's more safe than a first aid kit?! Basically, these should be standard in all RVs. You can either buy a completed kit or put one together for your family's special needs. For example, if you know you'll need allergy medicine or car sickness medicine you might need a more customized kit. Whatever you put in it, you'll be glad to have it along when you need it! Fine, we like kits, okay? 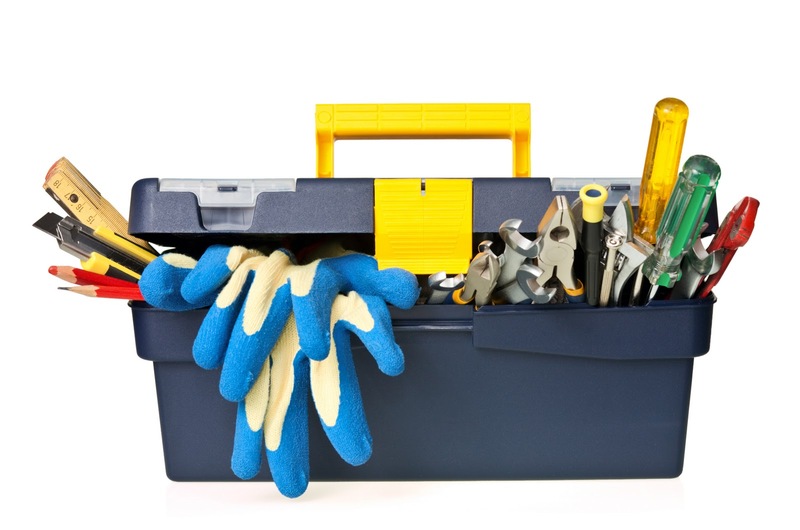 If your motor home is small in size, a simple toolbox will do. With that being said, the more tools that you can have on board in your motor home the better, especially in the event of an emergency. A toolbox should at least contain a collection of screwdrivers, a hammer, a wrench, a box cutter or a pocket nice. Time to kick it old school again, friends. Listen, we did say these were safety items. You might not need them, hopefully you won't, but you'll be glad to have them when you do. Most RVs will come equipped with a radio or a CD player, but a battery operated radio that can be moved to higher ground for a better signal is advised. 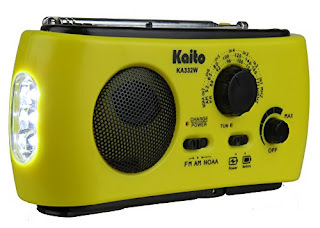 Weather radios are ideal, as they provide much needed information for those on the road. Also, you can find and buy weather radios that double as other helpful tools, such as an alarm clock, compass, and flashlight. Finally, be sure to have an emergency plan in place. This is the best tool that you can use to keep yourself happy, healthy, and safe when traveling by RV. You and your family or others that you are traveling with should all know what to do if the motor home is involved in an accident, breaks down, or runs out of gas. 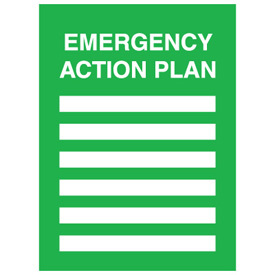 Check out Pinterest for some great emergency plan ideas. What are your must-haves for RV safety? Are you ready to buy an RV? If you are, you probably know there are different classes of recreational vehicles, each with their own merits and goodies. If you didn't know that, we're here to help. We're going to talk about Class A and Class C motor homes. But we'll make it fun, don't worry. The Look: These RV campers look like a bus (only way better). They have flat, large front windows and have a sleek design. 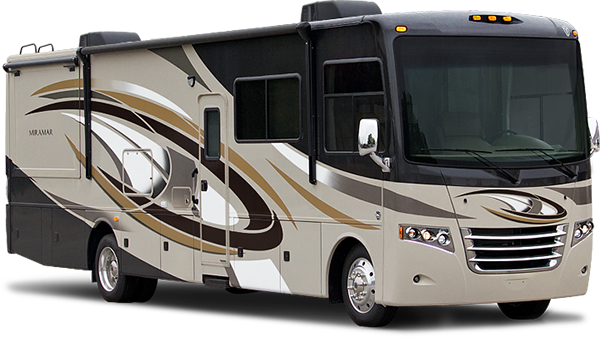 Class A RVs are considered to be top-of-the-line, coming in at about 24 feet, but they can be as large as 40 feet. These bad boys are pretty heavy, ranging anywhere from 15,000 to 30,000 pounds. That's tons of fun (we didn't say the jokes would be good). The Amenities: Class A motor homes are what you would call fully-loaded. They come with all the luxury amenities you could ever want, from a full kitchen to a bathroom with a shower and a tub. Depending on the layout you could have everything from an open floor plan to a private master suite and a living area complete with a couch, recliner and entertainment system. They also include heating and AC, hot and cold running water, and 100-125 volt electrical systems. These homes can be as luxurious and elaborate as your price point will allow. The Cost: New lower-end Class A RVs are sold around $50,000, while larger Class A RVs can cost up to $300,000. It's possible to spend over $1 million if you really want all the bells and whistles. It's a hefty cost, but one that will last you a long time and give you plenty of opportunities for fun and adventures in comfort. The Look: These motor homes look more like a truck cab with an over-cab bed. In some ways, they resemble a camper. They are smaller than Class A motor homes, usually ranging from 10,000 to 15,000 pounds on average and come in anywhere from 20 to 44 feet in length. They are constructed on cutaway chassis depending on the models. AKA they are smaller, but still huge for a home on wheels. The Amenities: Fret not, these still come with plenty of amenities for your glamping needs. There isn't as much space, but a good Class C motor home knows how to make use of the available space so you have everything you need. Usually the couch turns into a sleeper couch or a dinette converts into a double bed so you'll have plenty of space. Because of the over-cab bed, Class C motor homes can actually sleep more people than comparable Class A motor homes, even though they are a bit smaller. The Cost: Prices for Class C motor homes can range anywhere from $50,000 to $70,000. The Look: You might be wondering why Class B is down here. Well, these are usually referred to as a van conversion, looking more like pop-top camper vans. These are definitely more self-contained and cramped compared to their big motor home counter parts. Still, Class B motor homes make great places to sleep on the road. They can also be used as a second car! 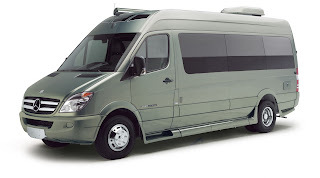 The Amenities: If you're looking for lots of comfort and amenities, the Class B motor home might not be for you. They usually have kitchens, living areas and bathrooms, but they are very small. The shower and toilet are often in one space called a wet-bath and the kitchen doesn't feature much more than a cook top. Still, you'll have everything you need for 2-4 people! 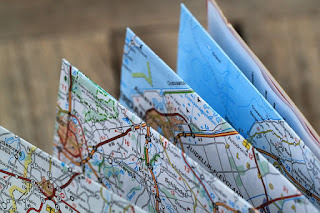 The Cost: Here's the great part, these are much less expensive than options A and C. They are great for people who travel a lot but don't need lots of space or tons of amenities. 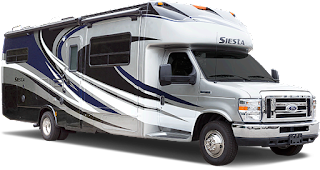 Class B motor homes usually range from $38,000 to $75,000. Which motor home is your favorite? Why?